At Aowei we care for our staff. We create a healthy and safe working environment by following the certification requirements of OHSAS18001 and SA8000. We also invest time and money in the career planning and development of each employee. Our embracing company culture, comprehensive welfare system and a variety of leisure activities allows all employees to be part of the “Aowei family”. Aowei cares for vulnerable social groups, e.g. orphans, and disabled children through donations to the Red Cross, helping to establish the Hope Primary School, and participating in volunteer community service activities at several welfare institutions for children. Our green Aowei logo fully embodies the “green” business philosophy of Aowei. Our hybrid ultracapacitors are a new type of energy storage device that fills the gap between traditional electrostatic capacitors and lithium ion batteries. Ultracapacitors are regarded as one of the most important green power sources of the 21st century. We have implemented measures to ensure environmental protection, energy and resource conservation, and other measures in the design and development of ultracapacitor products. Our safe and green energy solutions help related industries save energy, reduce pollution, and develop a low-carbon economy. Aowei relies on independent innovation to develop world-class patented technologies the fields of ultracapacitor product design, process development and application development, which have greatly improved the technical level and market competitiveness of Chinese ultracapacitors and related industries. 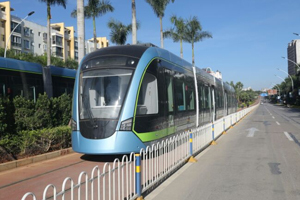 Aowei has pioneered the industrialization and application of high-energy ultracapacitors for electric road and rail vehicles, ferries, USPs, energy-saving elevators and more to provide new ideas for safe, environmentally friendly and efficient development.